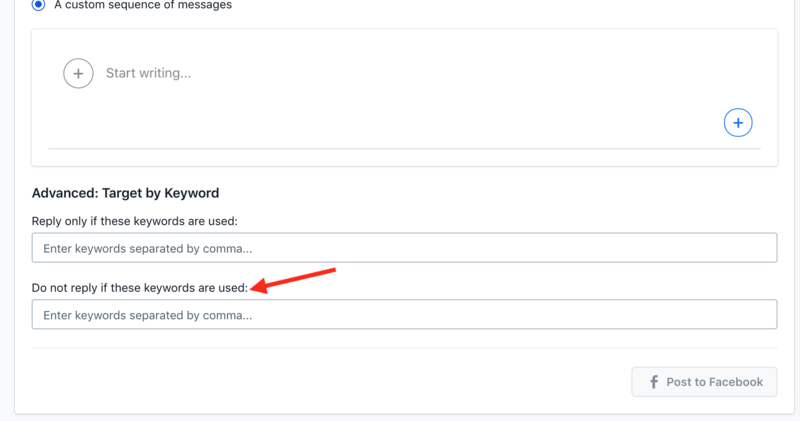 With the Facebook comments feature you can respond to comment on your Facebook posts with messages from your bot. Once the user replies to this messages, they automatically become a bot follower? You can do this for one specific Facebook post or for all your posts? How does the Global option work? 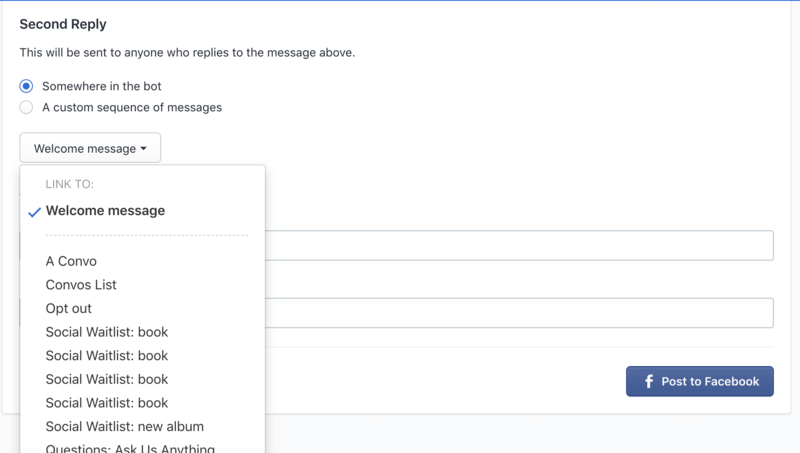 If you want to have same campaign added to all your Facebook posts simply click on the "Global" option and Facebook comments feature will be added to all your Facebook posts. 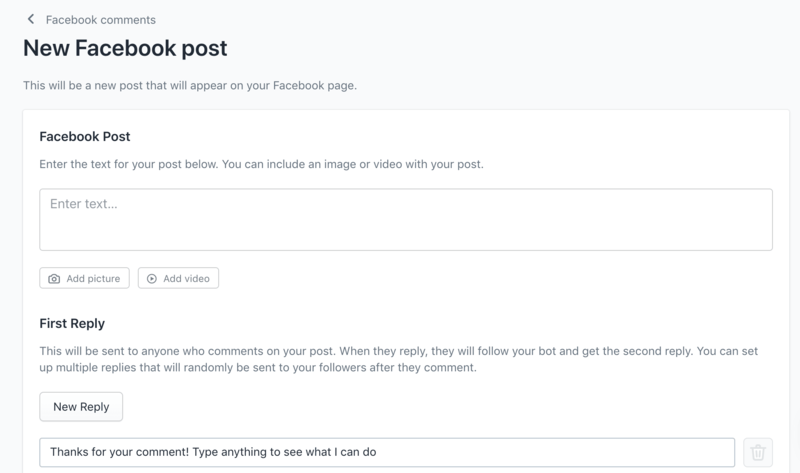 The comment will be sent once per user, so if someone comment on multiple posts on your Facebook page, they will still receive only one reply. What if I want to use it for just a single Facebook post? Can I add it also for a specific existing Facebook post? What is the First reply? 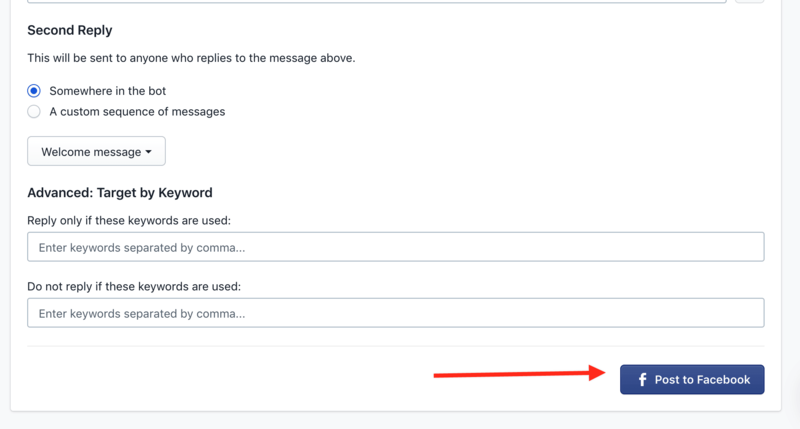 The first reply is a message that will be sent to the commenter through Messenger right after they post a comment. There is one first reply set by default. You can edit it and add multiple replies that will be sent to followers randomly. What is the Second Reply? The second reply is the message that will be sent after customers reply to the First message they received. 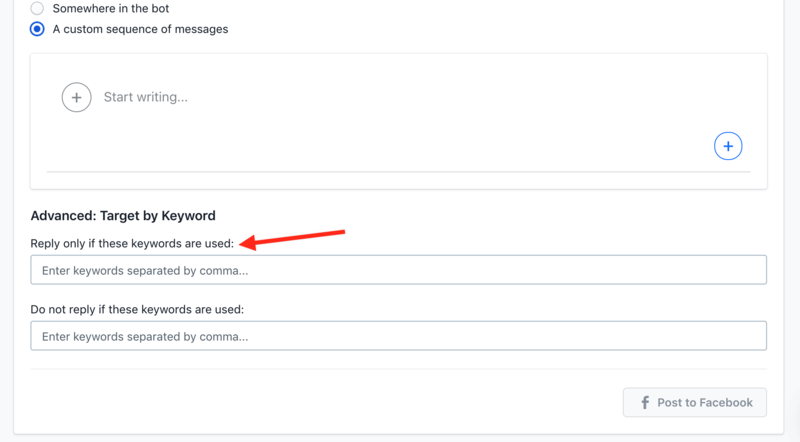 Here you can choose whether you wish to link the second reply to a Convo or some other content on your store or you want to manually create the entire content for this campaign. This is an amazing feature for growing your bot!